Bill was first inspired with magic by Ed Rose, a motivational speaker at a High Performance Work Team Seminar in Florida. After visiting the local magic store to incorporate magic in his own presentations, Bill was hooked. Bill has been a professional magician for fifteen years. He has performed both Nationally and Inter-Nationally. In 2003 he was featured on National Television (Fox Family Channel, 30 Seconds to Fame). He has been on local television in the Bay Area of Northern California. Articles of his performances have been published in several newspapers as well. 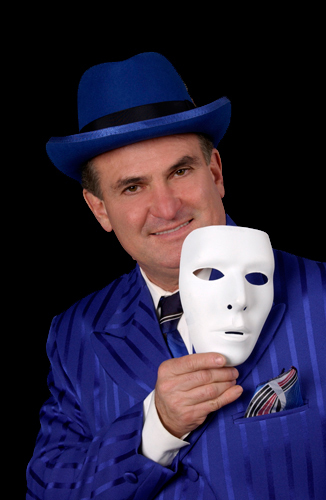 Bill is an active member of The Society of American Magicians and The International Brotherhood of Magicians. In 2002 Bill attended Motion Fest -- an intense four day workshop for performers. There, Bill trained with world-class mimes, improvisation instructors, physical comics, speech and voice instructors, and members of Ringling Brothers and Barnum Baily Circus. Bill is dedicated in being the Best Magician he can! Bill vows to keep his shows - High-Energy, Interactive, Captivating, and Fun Filled! Some of his performances include: Mariposa County Fair & Crystal Bay Resort in North Lake Tahoe, The Livermore Follies(a fund raiser for the Special Olympics), Share the Magic Show, Shell Oil Company, Napa Rotary Club, Bay Meadows Race Track, Golden Gate Race Track, Lafayette Art and Wine Festival, Day on the Glen Festival, Saint Patrick's Day Festival, Plumas/Sierra County Fair, Nevada County Fair, Snow-Fest North Lake Tahoe, Portola Railroad Days Festival, Tahoe Gal Dinner Cruise Boat, and several Libraries and Schools throughout California.